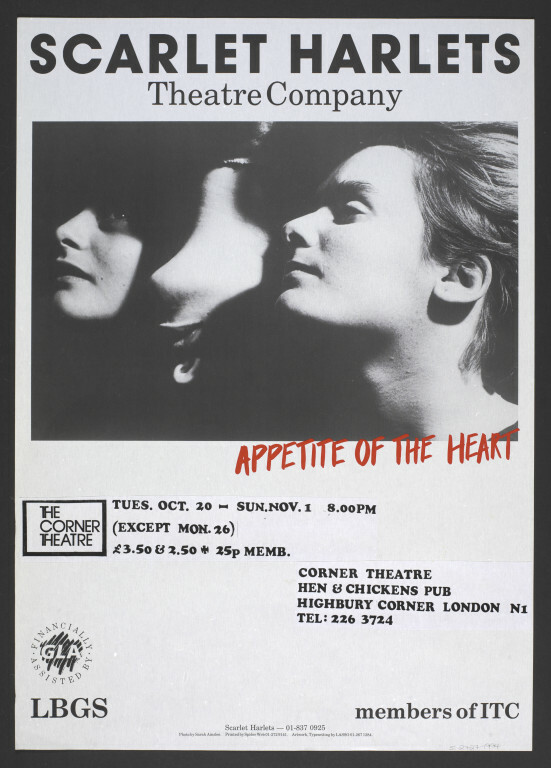 Associated Production: Appetite of the Heart. 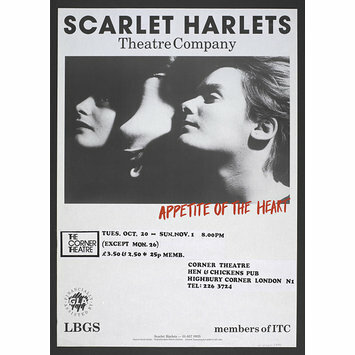 Scarlet Harlets Theatre Company. Corner Theatre, Hen and Chickens, Highbury, London. 20.10.1987. Performance category: drama.